CRM has undergone rapid change lately -- including the use of social media and a change in call center practices. Here's a look at five CRM trends that shaped 2012. Face it, sales reps spend more time in Outlook than any other application. That’s what makes CRM-Outlook integration so important. Compare the major CRM vendors’ email integration here. Ensuring a successful CRM implementation requires a user-friendly, navigable user interface (UI). Compare the major vendor’s mobile UIs here. Sales dashboards provide at-a-glance insight into key metrics, be it the sales pipeline, progress to goal or account activities. 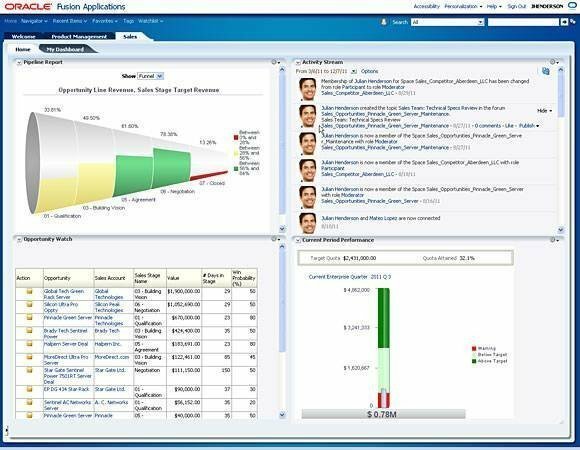 These screenshots of sales dashboard user interfaces from several CRM vendors.